Triton has extended its range of liquid applied waterproofing products to offer a wider choice of systems primarily for the reliable waterproofing of roofs and podium decks. Each of the three new systems provides Type A barrier protection waterproofing as defined in BS 8102 (2009). They are quick and easy to apply, very fast curing and suitable for application in cooler temperatures – therefore extending the season for application and reducing the downtime of areas treated. TWS-Poly H produces a totally seamless waterproof surface on prepared concrete and can be applied by squeegee, brush, trowel or roller. The 2-component polyurea formulation is ideal for waterproofing pitched or flat roofs, decks and balconies and other areas where a degree of flexibility is required. The trafficable, cured surface also makes it suitable for waterproofing concrete floors in car parks etc. TWS-Poly H can also be applied to internal and external walls. TWS-Poly S is another fast curing, 2-component polyuria formulation but designed for application by a twin nozzle, heated spray unit. 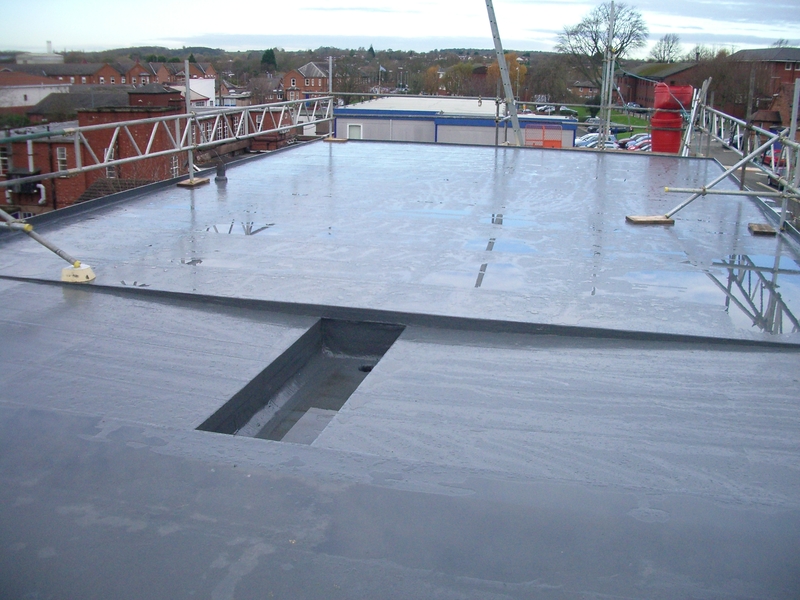 Offering excellent bonding strength and crack bridging capability, TWS-Poly S can be combined with geotextiles to obtain on-site applied, seamless liners or coatings in tunnels or canals or used to waterproof pitched or flat roofs. The cured surface allows for building movement and is trafficable and highly resistant to abrasion. Single component TWS Fastcoat cures as an elastic and seamless layer that offers excellent weather resistance and can withstand permanent water contact. A key feature is its ability to deliver a combination of root barrier and waterproofing layer, therefore reducing the number of layers required in green roof construction. Applied by brush, spreader or airless equipment, its cured surface can be lightly trafficked making it suitable for low pitch or flat roofs and balconies. Liquid applied waterproofing systems can deal with complex shapes and contours where joints or folds in other waterproofing materials might cause a weakness. Technical support on the specification and installation of all Triton’s waterproofing systems is available from Triton’s technical team. Technical data sheets are also available for download here.